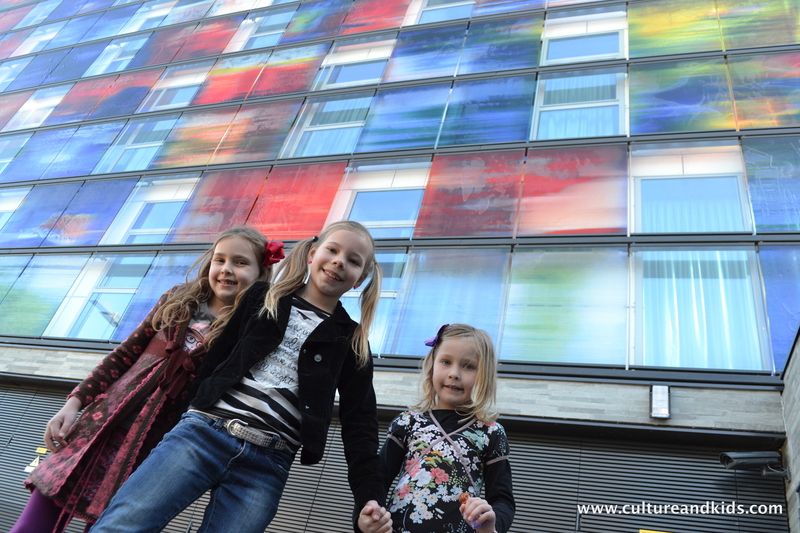 In March 2015, we had a fun day out visiting The Netherlands Institue for Sound and Vision, or Nederlands Instituut voor Beeld en Geluid in Dutch. 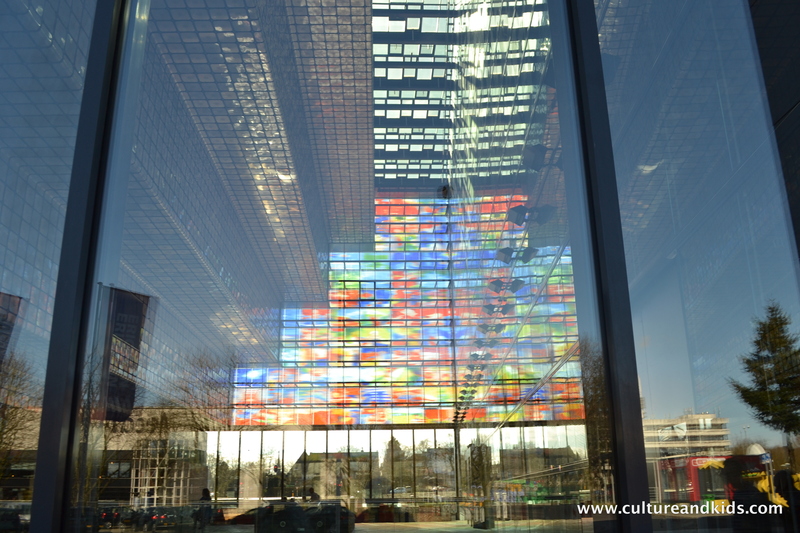 It is an archive and museum located in Hilversum, which is also often refered to as “media city” as it is the main location for television and radio broadcasts. We went along with my husband and our two girls (aged 5 & 7 at the time), their cousins (aged 5, 8 and 10) and their parents, and the grandparents. All of us enjoyed it for different reasons. The Institute has a collection of more than 750,000 hours of television, film, music and radio which dates back to 1898. Aspects of the material are available to media professionals, education, science and the general public. The museum itself is made up of several sections, each highlighting some aspect of Dutch media. In our group, I was the only one that didn’t grow up with Dutch TV and radio, but everyone else could identify personally with the exhibits. I still enjoyed the visit. One of the things I loved most was the building itself. A true work of art, it’s spectacular both inside and out. At entry, you are given a digital ring – one type of kids and another for adults. You then select a digital guide – either a Dutch “BNers” (Bekende or famous Nederlanders) and English speakers can choose Rembrant! You can then scan your ring at the exhibits to either make something happen or to save a recording which is then emailed to you later. The kid’s firm favourite was the Top Pop where they got to make a music video. We also really enjoyed filming a car chase! I loved all the bright colours in the Klokhuis area, which is a show my girls watch regularly. As a marketing lecturer, my personal favourite was the Media Ukkie Land. This was a “tour” through TV for young children, discussing and displaying examples of stereotypes for boys and girls. There was also some old school TVs, I turned 40 this year so still remember big, chunky tv’s that didn’t even have a remote….so we as the children were the remote! Overall, a very fun day and highly recommend a visit if you’re ever in the area. More information can be found via the English version or Dutch version of the website. A version of this post also appeared on TheHagueOnLine and Dutch Australian.